Enjoy the beauty of wood without the problems of dry-rot and insect infestation. These simulated wood tables and benches are made of sturdy, sanitary, easy to clean fiberglass. 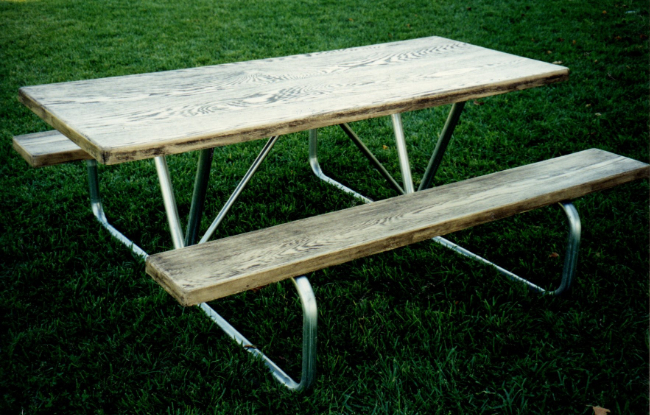 Splinter free beauty, reliability and simple maintenance make this table the park industry favorite.